Depression is the most common mental illness and no one is immune – not even lawyers. This illness is the leading cause of disability in US – affecting 10% of the general public. In fact, lawyers are at higher risk than those in the general public. 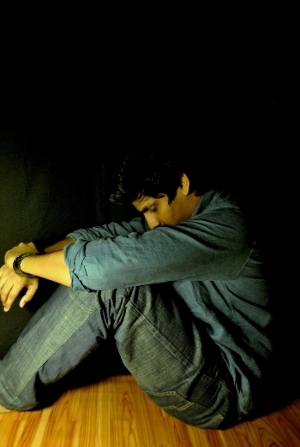 Subsequently, depression occurs in all age, racial and socioeconomic groups. According published statistics “At some point in their lives, an estimated one in four women and one in 10 men can expect to develop depression so severe as to require treatment. An estimated 81,000 to 117,000 ABA members have had one or more alcohol, drug, and/or mental health disorders with the past year. Over 190,000 have had or will have a disorder sometime during their lifetime. Almost 45,000 ABA members have had a substance abuse (alcohol or drug) disorder in the past year, and over 100,000 will have a lifetime substance abuse disorder and over 40,000 ABA members suffer from depression (within the past year). As members of the legal profession, most attorneys spend their time dealing with other people’s problems, often ignoring their own. The day-to-day pressures and deadlines of practice sometimes manifest themselves into acute difficulties like anxiety, depression or chemical and alcohol abuse/dependence. The risk factors are what make an individual vulnerable to developing a particular disorder – physical and/or mental/emotional. Risk factors include, but are not limited to an individual’s family history, biological vulnerabilities; environment, stress and lack of coping skills. Feelings of loneliness, isolation, desolation, being overwhelmed, unavailable to what is going on around you. Depression carries a stigma; people will talk about me. Furthermore, feelings of helplessness, frustration, shame, guilt, and even disgust can cause the lawyer to shy away from addressing health issues squarely. Rather, it is easier to isolate the unhappy events as an aberration and to hope things will get better. In other words, it is easier to deny that a problem exists. On the other hand, the astute individual knows that more than 80% of people with a depressive illness improve with appropriate treatment. Treatment can lessen the severity of depression, and it may also reduce the duration of the episode and may help prevent additional bouts of depression. With early recognition, intervention and support, most people can overcome depression and get on with their lives. Christiana Care’s 24-hour Crisis Line on 302-320-2118. Megan O’Hara, LCSW is a licensed clinical social worker for Christiana Care’s Center for Women’s Emotional Wellness. She provides assessments, education, and treatment to women and their families who are at risk for or experiencing perinatal mood disorders. Postpartum Support International the world’s leading non-profit organization dedicated to helping those suffering from perinatal mood disorders, the most common complication of childbirth. PSI-DE is the Delaware state chapter of Postpartum Support International. They provide information on support groups in Delaware. The Delaware Lawyer Assistance Program (DE-LAP) is a vehicle for providing confidential, free help within the legal community to individuals suffering from depression, addiction, chemical abuse and/or other disabling conditions that interfere with their health and work productivity. If you have concerns about a member of the legal community or if something just doesn't seem right with him/her, call the Delaware Lawyers Assistance Program. Our mission is enhancing the quality of life for those working in the legal community by delivering education and assistance. DE-LAP is committed to developing and maintaining effective problem solving for the individual and to create a workplace atmosphere that encourages professional growth and excellence. If you, or someone you know, is experiencing symptoms of depression; or if you know a lawyer or judge who is in need of help; or if you want additional information on depression, health-care referrals. Call the Delaware Lawyers Assistance Program (De-LAP), Carol P. Waldhauser, Executive Director, at (302)777-0123 or 1-877-24delap or e-mail cwaldhauser@de-lap.org for confidential, free information. Prentice Hall, Upper Saddle River, New Jersey, p 267. Revision DSM-IV-TR (AMERICAN PSYCHIATRIC ASSOCATION), P.349.